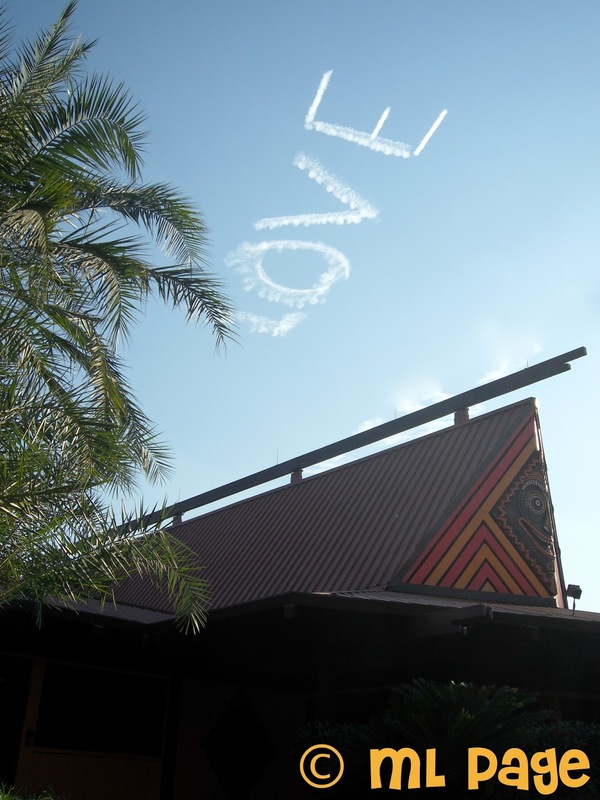 The Polynesian is arguably the most beautiful of Disney World Resort hotels, but it is currently undergoing some huge resort renovations that, without the most up to date info, may lead you to losing a little magic during your trip! First and foremost only two buildings are re-opened and freshly renovated (many of the longhouses which have not been renovated yet still remain open). The two renovated ones are Hawaii and Samoa longhouses. We recently stayed in the Samoa building during Spring Break (the week leading up to Easter) and it had JUST reopened... but more importantly was that there were renovations currently going on in TWO other buildings! Rarotonga and Niue are currently closed for renovations. If you are looking at a map this means they started with Hawaii and followed right around the pools in their renovations. The castmember checking us in also let us know that Tokelau is next! I think it would be safe at this point to assume they may continue to the east of Great Cermonial House and renovate Rapa Nui and Tahiti once Tokelau is done. So what does that mean for travelers? If it were me and I wanted to ensure I got a new room and did not have to walk through unsightly construction going on (the workers will likely enter and exit the premises with supplies out into the parking lot along side Rapa Nui) I would request SAMOA. Samoa was a great location, nice proximity to the pool, beach, and Great Ceremonial House. Additionally, there are still four longhouses over on the Luau Cove side of the resort and a rumor that the Poly mind build DVC space. I HIGHLY recommend that if you are staying at the Polynesian this year prior to your room request in online check-in you call the hotel directly and ask which longhouses are currently renovated and under construction so you can plot out a way to avoid the wrong areas and request the right ones! Anyone staying at the Poly should also know that this is one of the most convienent and luxurious resorts. Not only can you hop right on a monorail to travel to Magic Kingdom but you can walk out to Ticket and Transportation Center (or monorail over) and head into Epcot! Additionally, one of the only 24 hour quick service stops is located here. You can't get hot food 24 hours a day but you can find great refrigerated choices like sushi from Kona and salad & sandwiches. 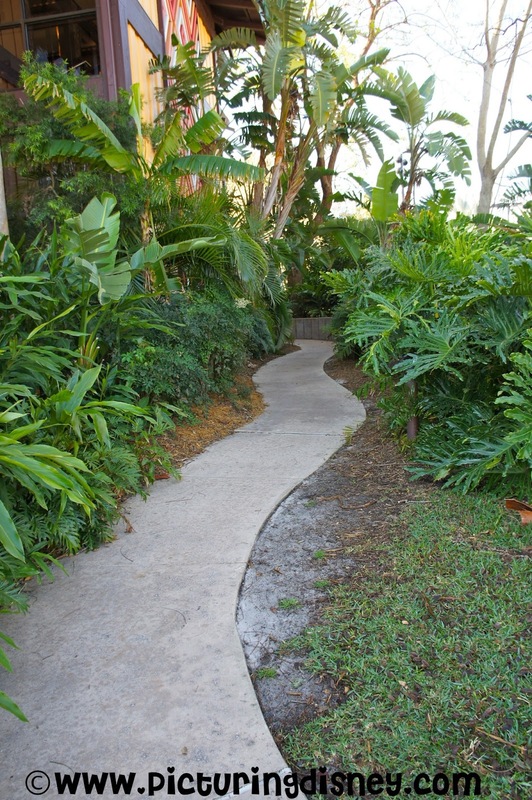 Also, be sure not to miss some time wandering around the resort. The lush beautiful flora and tropical scents and touches are relaxing enough to be a vacation unto themselves. The beach is beautiful even if just for a short walk or to take in Wishes after a long day. I am a huge fan of this resort. After we stayed here in 2011, I could not wait to come back. At other resorts I have had a great time, truly enjoyed my trip, but was ready to try the next locale. 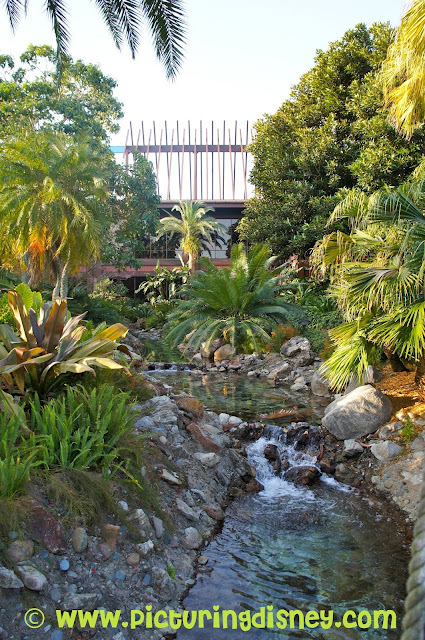 Here at the Poly I feel like I could escape into the tropical oasis for days! I love the torches at night and the music, I love the shops and the tiki carvings, I love the hidden mickeys and the room theming (both new and old are wonderful)! If you are planning a trip here and have any questions, feel free to ask and I will answer as best as I can (or post some more pictures to help you envision your upcoming vacation)!